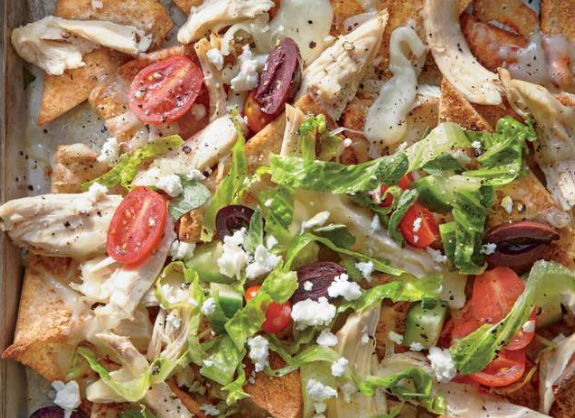 Give Greek salad nachos a try for when you’re watching football. They’re healthier than regular nachos, and it’s a refreshingly different choice. The recipe calls for chicken. But you could add in some cooked ground lamb if you want to add in more protein. These come together quite quickly if you do use the rotisserie chicken. And let’s face it. You’d rather be hanging out on the couch enjoying the game, right?